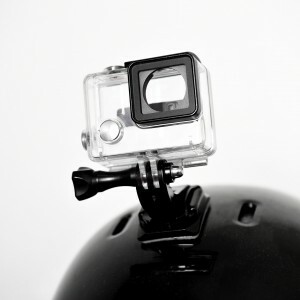 Q Which is the most popular GoPro camera? Black, Silver, or White? 2, 3, 3+, 4? Which one is right for me? Q I don’t do anything “extreme”… should I still get a GoPro? A Sure! There are many users here that use them for hanging out with friends, filming their kids or pets, or just for taking pictures of scenery. It’s an extremely versatile camera, so you can probably find a good use for it in your life, even if you aren’t Felix Baumgartner. Q HERO 4 Black or Silver? A That depends on what you want your camera to do. You have to decide between the recording abilities (i.e. higher resolutions and frame rates) of the Black and the convenience of a touch LCD screen integrated on the back of the Silver. Black gives 4K at 30fps. If you do not have the hardware to edit 4K footage, which Black enables, buy the Silver. And if you are a first time GoPro user/buyer, consider the Silver might be a better choice. Though the FOV of the lens is so big, you don’t really have to worry about whether something is in the shot, or not. If you need good quality slow motion, the Black is better because it offers 1080p120What kind of batteries does the camera use? Q What kind of batteries does the camera use? Q What size memory card does the camera need? A There is 16MB internal memory, but you need a memory card. Most users choose at least a 32GB card.What is the picture resolution? Q What is the picture resolution? A The camera captures 5 megapixel digital images. Q What is the video resolution? A Video is recorded at 512×384 at 30 frames per second. Q Is there a zoom function? A Yes, there is sound. If these action camera FAQ’s do not answer all your questions, the official websites for action camera brands will offer much more detailed information beyond the main action camera FAQ’s.